Last weekend (Sunday 10th January) we were delighted to welcome our friends from Kinross Vaulting Group for their annual day out. 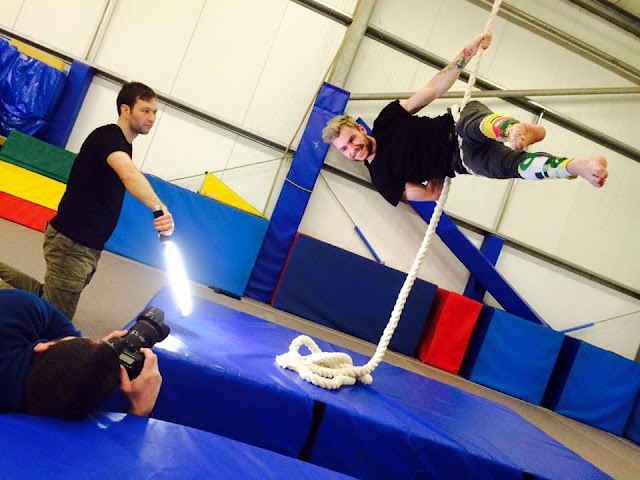 We were excited to be working with a capable bunch of young people and set about planning their circus experience. Vaulters have good balance, are strong, usually flexible - which is doubly impressive when you learn that vaulters do most of their stretching in unheated outdoor arenas - and of course brave. 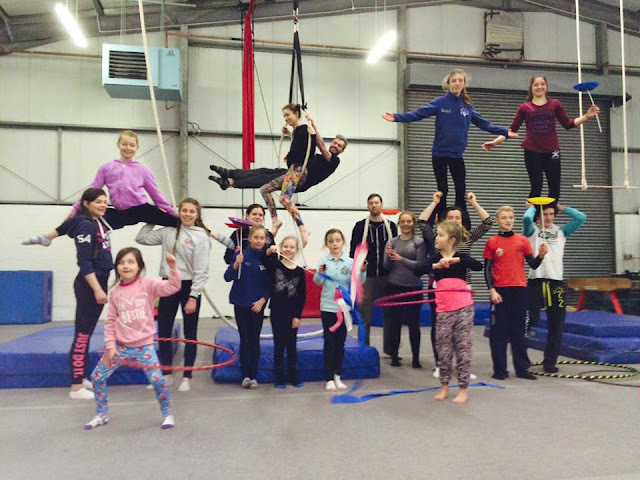 We decided to work on trapeze, silks and rope and introduced our floor skills (hoops, plates and poi) by challenging the group to incorporate their balance skills from vaulting (think standing on each other's shoulders)! The session flew by and as usual there was not enough time to take lots of photos of our own, however we had a photographer from the Daily Record for part of the day capturing us in action to get a shot to use in an article to promote our participation in the Test Town Grand Final in February. It felt a little bit 'celebrity' to be honest, but we are getting used to the attention now! Can you hold my light saber for a second..? 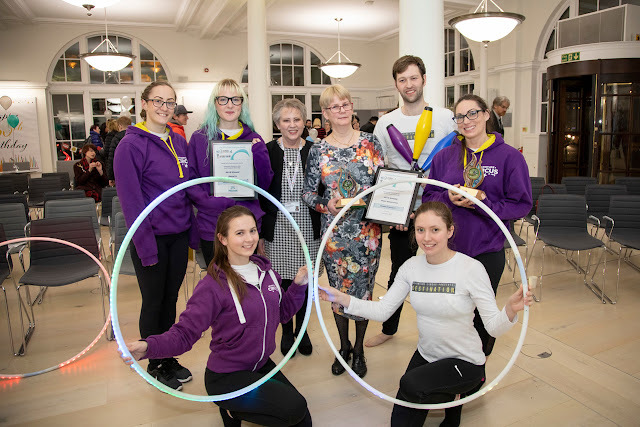 We had lots of fun and I am starting to imagine an exciting show taking place in the future, with vaulters and acrobats performing together in Perth and Kinross! I am sure we can convert Hillside House to a big top for a big weekend of circus fun, can't we Liz?! Well done to everyone who took part, see you again soon!